You get a phone call at work from your daughter’s school. The Vice Principal would like to meet with you as soon as possible about a bullying incident involving your daughter. Your heart sinks as you promise to be there as soon as you can. You wonder if she is ok, worry about the long term ramifications she will face from being bullied, try to figure out what she is getting picked on for and think back over her whole life to see if there is something more you could have done to protect her. It never crosses your mind that your daughter isn’t the one being bullied; she is the bully. We as parents struggle to see anything but the best in our children and often it doesn’t seem possible that they could be the one hurting someone else. Unfortunately, the numbers don’t lie which means there are 2.1 million sets of parents out there who have a child who is a bully. Parents are essential to the prevention and elimination of this kind of behavior and that includes all parents, not just those of the children who are the victims. Parents of bullies may be the key to turning the tide against this pervasive crime being committed against and by our children everyday. How Can You Tell if Your Child is a Bully? The first thing parents need to do is come to terms with the fact that their child is engaging in behavior that is unhealthy for them and damaging to others. An adolescent that is bullying others is not necessarily a “bad kid” and being the parent of a bully doesn’t automatically mean that you are a bad parent. People engage in bullying behavior for a reason and the most important thing you can do to help your child is to uncover that reason. If you are concerned that your child may be bullying others, there are some things you can look for. Bullies lack empathy and struggle feeling or finding sympathy for others. Bullies believe that aggression is a valuable tool for dealing with other people and often exhibit a belligerent attitude. Bullies like to be the leader, the one in charge, and the one who makes and enforces the rules. When they win, they like to lord it over those they beat and when they lose, it is everyone’s fault but their own. They are impulsive and may exhibit bullying behavior toward siblings. Bullying behavior includes any verbal, social, physical, or online action that is repetitive and intentionally harmful. What Makes Children and Teens Bully Others? The perception that every bully is a social outcast who is lashing out at others in an attempt to repair or elevate their own self-esteem is outdated. While this does describe some bullies, it also contributes to the idea that popular, socially-adept adolescents with intact families aren’t bullies, which is not the case. Teenagers bully others for a variety of reasons many of which start at home. If your child is being bullied or has been bullied by someone at home, they may model that behavior and bully others. Children who never learn or lack empathy may become bullies because they don’t take the feelings of the other person into account. Whatever the reason, adolescents need to be taught that this behavior is never acceptable. How Does Bullying Affect the Bully? Being bullied can have devastating, life-long affects, but being the bully can also cause long term problems. Children who bully others are more likely to struggle in school, to smoke, to drink, and to engage in criminal behavior into their adult years. When children bully others and experience no repercussions, it reinforces the idea that this behavior is acceptable and that being mean-spirited, dismissive, and degrading to other people can be a source of power. This is a dangerous lesson that underlines how important it is for parents to stand up, step in, and speak out. Here are some things you can do to help your child see that bully behavior is not acceptable and encourage them to stop participating or engaging in things that are intentionally damaging to others. Treat the issue as seriously as it is. It isn’t a phase or something they will grow out of. You need to reinforce the idea that intentionally causing harm to others is never acceptable. Work with your child to uncover the reason for their behavior. It may be helpful to seek the services and expertise of a medical practitioner, counselor, or therapist. This is also a great time to connect with your child’s teachers, school counselor, or other school resource to talk about any problems or difficulty in school. Model the behavior you want your child to emulate. Be empathetic, show sympathy for others, don’t fly off the handle and lash out in anger. Help your child develop positive problem solving skills. Never allow bullying behavior to continue in your presence no matter who is doing the bullying. Talk to your child away from their peers; don’t bring up this or other sensitive topics in front of others. See the new documentary called Bully as a family and use it as a way to start and/or continue the conversation. In a previous blog post we looked at how peer pressure can have a negative impact on teenagers as well as its influence on their thinking, actions and decisions. 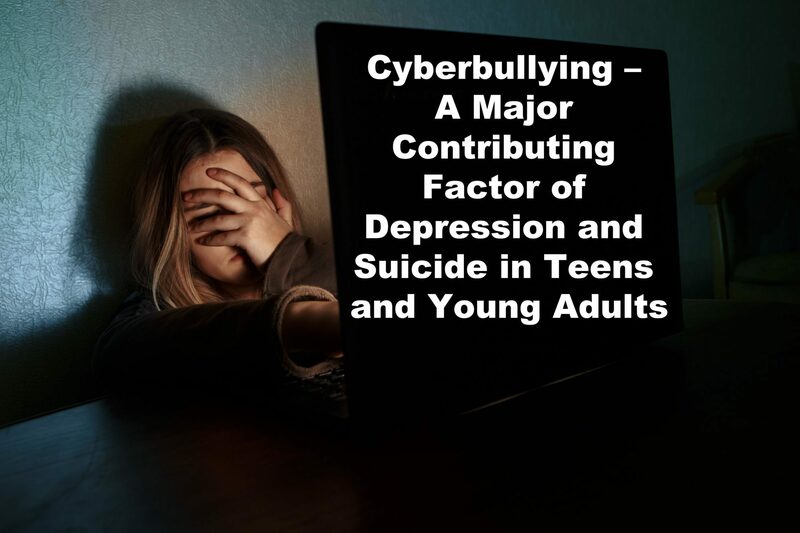 In this article we will look at cyberbullying, another form of negative peer pressure which has quickly emerged in the last few years as a major factor in instances of depression and suicide not only in teens but also in young adults. The reach of social platforms is extensive. Cyberbullying is a form of peer abuse which takes places in the virtual space. And because it can happen via chat, on forums, through blogs and websites, social sites, email, or phone messages, addressing the issue can be difficult for parents. The bigger danger with cyberbullying is that unlike traditional bullying, where the aggressor’s identity is easy to establish, cyberbullies can hide behind the wall of anonymity and continue to attack the victim in a relentless manner. They often use fake profiles, avatars, and a variety of screen names when attacking their targets. Targeting can happen through a text-war or abusive comments, name-calling, or victim shaming through pictures (often morphed), misinformation or deliberate spread of false information and rumors. The reason why cyberbullying is so dangerous is because of the negative impact it can have on the lives of teens and young adults. It not only affects their social relationships, but it can lead to self-esteem issues, or in extreme cases even lead to a self-harming behavior well into adulthood. It is vital to note that cyberbullying is not limited to teenagers. College students, and young adults, face cyberbullying either at the college level or even in their workplace. Social penetration is pervasive and any kind of content, or online activity which has a resonating value among a group, will get amplified. Tracking online bullying is difficult for both parents, guardians, and teachers since the bullying happens over platforms and through mediums they may not be privy to. Cyberbullying can lead to increased levels of depression and anxiety among teens. It could also lead to the teen harboring suicidal tendencies. Just as in the case with traditional bullying, cyberbullying can impact school life and academics. The feeling of vulnerability and the shaming that the victims of cyberbullying must endure can continue well into their adulthood since in most cases, the information stays online even if the immediate harmful content is deleted. The victim could develop a fear of any online threats becoming a reality which could lead them withdrawing away from family and friends. It can shatter their confidence in this world which correlates with a lessoning of their quality of life. Since most teens and young adults spend a lot of time online, they might feel helpless and get trapped into a state of constant victimhood thinking they can’t escape cyberbullying. Open communication is the most important aspect of preventing cyberbullying whether it happens at school or in the workplace from impacting the life of teens and young adults, respectively. Talk to your children when they are of school-age and tell them why cyberbullying is not acceptable in any form. It is a reality to anyone interacting in the virtual world and it is best to learn about early on. Never share passwords and exchange personal information online. Don’t share pictures with strangers or people you are not very familiar with. Talk to a parent or teacher/guardian about being a victim of cyberbullying. Be clear that they will not be punished (blocking their internet access) if they come to you about being bullied or targeted online – it is important that your child knows you will not judge them. If your child is in college and you suspect, they are a victim of this form of bullying, try to talk to them about it and how they need to ignore it or report it someone in authority. Print it out – document it. Don’t respond to cyberbullies in any way – well not without the aid of someone in authority. Don’t do anything with the aim of extracting revenge on cyberbullies – then you may become the person you dislike. Show or instruct your child on how they can block or delete unwanted messages. Any time they see messages or posts which are harmful, or which target them, tell them to take screenshots as proof. Inform them that help can be sought from social media helplines, moderators, or service providers by reporting any instances of cyberbullying and finding ways of identifying or blocking cyberbullies from acting in this manner. Bullying and abuse can happen in many different forms. However, the ubiquitous nature of social media and kind of anonymity it offers to users, makes cyberbullying a very dangerous form of abuse. Tackling the issue requires a consolidated social, political, and legal approach. Until that happens, it is the job of parents and guardians to keep children safe and protected from the dangers of cyberbullying. Teens and young adults today face trials and challenges which make them extremely vulnerable to mental and physical disorders. At Doorways, our aim is to help young lives overcome some of these difficulties and to help them live strong and healthy lives. We have specific programs which focus on teen and young adult mental health treatment. Some of the programs include individual and family counseling for teens and young adults between the ages of 13-25. If your child or someone close to you is depressed, anxious, or if you suspect they are harboring suicidal tendencies, please connect with us at Doorways. We can help in identifying the underlying cause for the condition and provide professional counseling and help. You can also give us a call at 602-997-2880. 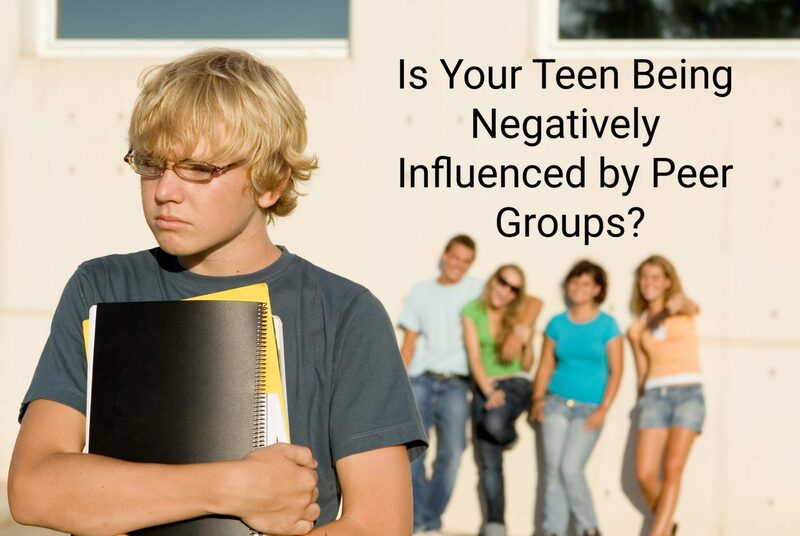 Is Your Teen Being Negatively Influenced by Peer Groups? As teenagers start exploring the world around them, their contact base will expand beyond their immediate circle of family, friends, and relatives to include another important section known as peer groups. Peer groups enjoy a certain degree of acceptability based on shared similarities such as gender, community, age, and activity, which makes them a substantially influential group. If the influence of peer groups is positive, it will lead to positive outcomes. However, if the influence is negative such as encouraging addictions, or substance abuse, or other forms of risky behavior, the implications can be dangerous for your teenager. As a parent it is important you are aware of the kind of ideas and influences your teen is being exposed to on a day-to-day basis. Which is why it is important you identify the peer groups that can influence your teen. Peers or peer groups are a set of individuals your teen admires or identifies with in some way. These peers or peer groups can be from different places such as school, or at an after-school club or activity, from the neighborhood, or even via social platforms and online forums. Why do Teens Feel Pressure to “Fit In”? The need to “fit-in” or be one amongst a crowd can drive teens to succumb to peer pressure. So, a teen who wants the approval of these peer groups will feel pressured to mimic their behaviors and actions. Bullying could also be a major reason for teens to succumb to peer pressure. In both instances, it is the pressure of conforming to a certain group or expectation which can lead to behavioral changes among teenagers. Teenagers who enjoy healthy and positive relations with their friends and family, are better positioned to deal with peer pressure. Is irritable or shows signs of depression. Indulges in substance abuse and other forms of addiction (gaming, smoking, drugs, and alcohol). Starts displaying behavioral changes that are out of character. Displays sudden change in belief and attitude. Is easily influenced to think or act a certain way regardless of the dangers or risks involved. Is easily influenced by “friends” – and as parents, these “friends” make you feel anxious or concerned. Shows little or no interest in school and studies. If you find it difficult to communicate with your child, are unable to help them deal with peer pressure, or find the above symptoms are getting worse, it is best to seek professional help. While peer pressure generally carries a negative connotation, this is not the case every time. So, while one set of people might have a negative influence on your teen, another set of people from the same age group or gender, can have a positive influence. As parents, it is easy to get overprotective of your child. However, if you notice positive changes in your child after they start interacting or associating with a certain peer group, it is important to appreciate and encourage these interactions. If you notice your teen is more confident, or is pursuing healthy interests and habits, or enjoys a greater sense of belonging which is having an overall positive impact on their thinking and decision making — encourage them! Don’t be suspicious of every action; getting a tattoo does not necessarily mean your teen is associating with drug addicts or has fallen into bad company. Perhaps it is simply a sign of artistic expression. Communicate with your teen and support their decisions. If you are against a particular action or idea, explain your reasons for feeling the way you do. Above all, support them so they know they can always depend on you regardless of what transpires in the outside world. If your teen enjoys a healthy relationship with their peers, you have nothing to worry about. The only time you should be concerned is when peer pressure starts having a negative impact on your teenager’s life and the choices they make. If you are unable to help, then seeking professional help is the best way forward. Here at Doorways, we are aware of the trials and pressures teenagers face in their growing years. We also know that each teen has their own way of dealing with these pressures – some find their own path, others need a little help. Our role as behavioral therapists and professional counselors is to help teens and their families deal with peer pressure in a positive and constructive way and build confidence for all parties involved. If you suspect your teen is facing peer pressure and needs help, please connect with us at Doorways. We can also be reached at 602-997-2880. There’s a new program on Netflix that has caused quite an uproar in the media, and in our office. 13 Reasons Why is a Netflix series about Hannah, a middle school girl who takes her own life. Two weeks after her tragic death, a classmate named Clay finds a mysterious box on his porch. Inside the box are recordings made by Hannah — on whom Clay had a crush — in which she explains the 13 reasons why she chose to commit suicide. If Clay decides to listen to the recordings, he will find out if and how he made the list. This intricate and heart-wrenching tale is told through Clay and Hannah’s dual narratives. “The concerning aspects of the series are its glorification of suicide and its promotion of the message ‘wait until I’m gone, then they’ll be sorry’. The show reduces its main character to little more than what happens to her. There is no real mention of depression, genetics, her lack of coping skills, her access to support systems, or biochemistry. At times, the show seems to perpetuate a cycle of feeling shame and blaming others. While these issues are harmful and spread misinformation, the series does offer insights into the experiences of adolescents today. 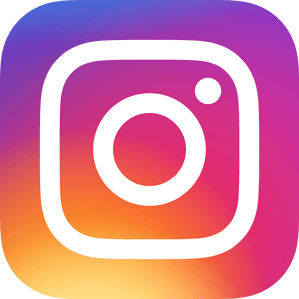 The show highlights the alarming rate of sexual harassment and assault, mass and instant dissemination of rumors via social media and smart phones, and the overall social climate present in many high school campuses today. My concern of course, is that students would try to follow Hannah’s example because the series, though tragic, still “romanticizes” the action of suicide and the idea of leaving a message for the survivors to teach them a lesson. We hope that parents will talk to their teens about this program and the messages it sends. If your son or daughter are hinting about suicide in any way, you need to take it seriously. Reach out to an experienced professional to get help. Because doing nothing is not an option. As parents, we spend a lot of time encouraging our teens to make new friends and cultivate the friendships they have. However, are we examining the types of friendships they have? How about negative relationships that are known as toxic friendships? 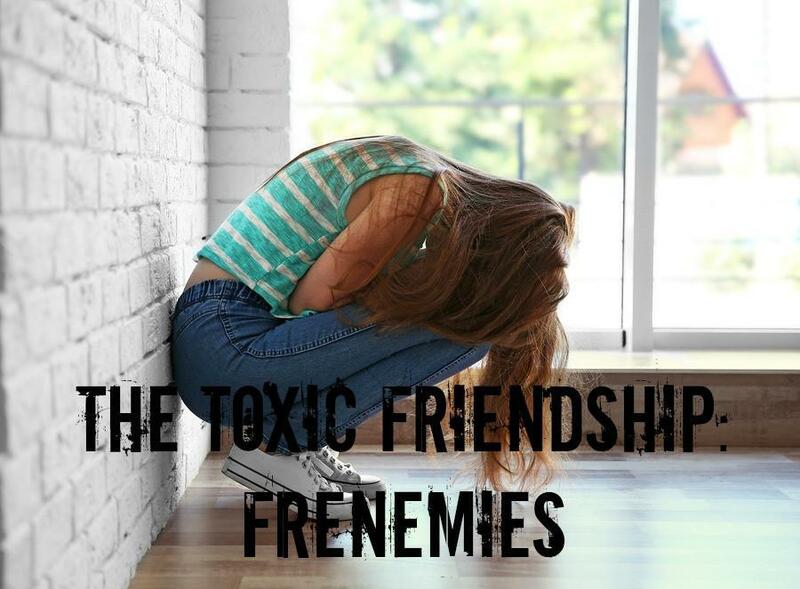 One such toxic relationship that can exist particularly among teen girls is the so-called frenemy. As a parent, you can help your teen avoid these types of relationships and help them understand what positive relationships look like. According to Raising Children, begin by explaining that a positive relationship is one where the friend treats them with respect, looks out for them, is inclusive, and is caring towards them. Once your teen understands how they should be treated, this should help them better form their social group. You can also help direct your teen to other teens you would like to see them spend time with. You can encourage your teen to try different activities to help foster more positive relationships. It also helps to encourage your teen to have friends from different social arenas. Some examples of this are friends in your neighborhood, from church, sports, school, and other social groups. You can also help by encouraging your teen to invite friends to your home or other family activities so that you can observe the type of friendships they have and ensure the friendships are all positive in nature. Additionally, talk to your teen about friendships by asking questions and keeping an ongoing dialogue so they feel open to discuss any issues that may come up. If there are issues that come up and your teen is not able to avoid a frenemy, you can help. Encourage them to end the negative relationship by being open and saying that the friendship must end because they do not like how they are being treated. If there is any backlash against your teen like bullying, talk to your teen and if necessary, get the school involved to help figure out a solution. As a parent, continue to help your teen foster the positive relationships, but realize that there may be a few bumps in the road and let them know that you will work on them together. Be sure to keep an open dialogue going with your teen so that they can discuss any negative issues that potentially come up. If you find that your teen is having difficulty navigating a difficult relationship, you can also seek the guidance of your teen’s school to help with the situation. Doorways LLC. 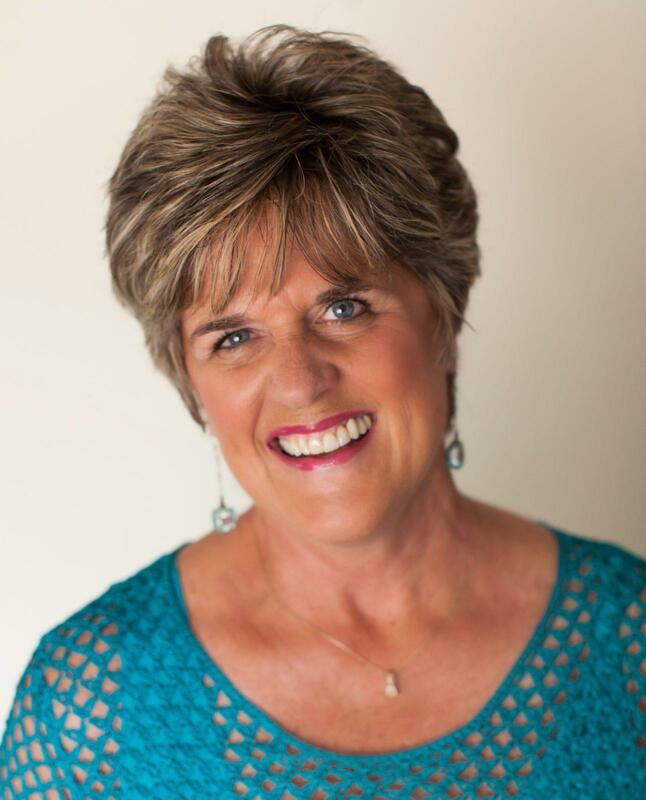 is a faith-based counseling organization in Phoenix, Arizona, that provides comprehensive outpatient treatment focused exclusively on 13-25-year olds and their families specializing in treatment for eating disorders, mood disorders, anxiety/OCD, substance abuse, depression, ADD/ADHD, self-harm, suicide prevention, and family counseling. The definition of kindness is the quality of being friendly, generous, and considerate. Being a truly kind person is an important quality to have. As a parent, you should help instill this quality in your teen. This week has been dedicated as National Random Acts of Kindness Week. Celebrating is a great way to combat all the negativity, bullying, and provide inclusion. 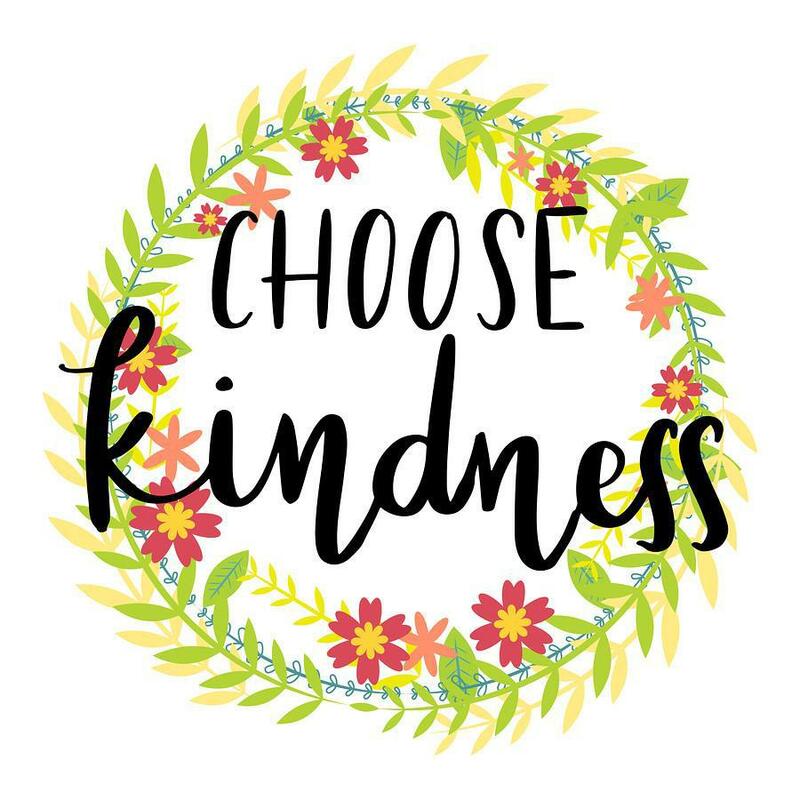 Take a look at our previous post, 10 Ways to Celebrate National Random Acts of Kindness Week With Your Teen to find ways to encourage your teen to practice random acts of kindness this week and always. For this year’s celebration, we want to provide you with 10 quotes to inspire you during National Random Acts of Kindness Week. 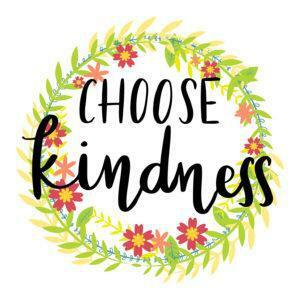 We hope that you and your teen are inspired to practice your own random acts of kindness this week and make someone feel included and special. 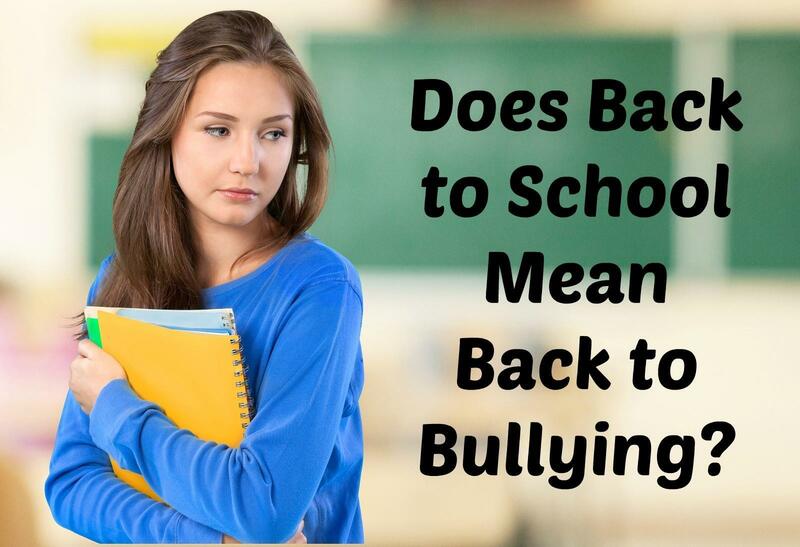 Does Back to School Mean Back to Bullying? The long, lazy days of summer have come to an end and given way to the frenzy of back to school and all the activities that go along with it. While many teens look forward to going back to school and seeing their friends, it can also be a harrowing and stressful time for other teens who have been victims of bullying. Bullying can be physically and emotionally damaging for teenagers and leave scars that take a long while to heal. Teens are especially susceptible to developing low self-esteem and even suicidal thoughts or actions when they are being bullied at school. Bullying is any form of physical, emotional, or psychological aggression that is imposed upon an individual repetitively. Bullying also involves demonstrating power over another person or exploiting imbalances in strength or power. Unfortunately, bullying has become more and more common each year, and usually begins to surface in schools in November or December each year. According to stopbullying.gov, 28 percent of students between grades six and twelve have experienced bullying. 15 percent have been cyberbullied. Additionally, over 70 percent of students admit to witnessing bullies at school. With such strong statistics, it is hard to argue that bullying is not a major problem that teens today must face as they try to grow, develop, and learn. What types of teens typically become victims of bullies? Bullying can happen to any teenager. However, bullies more commonly select victims who they see as less powerful than they are, or as different from themselves. Teens demonstrating signs and symptoms of depression are often being bullied, but are afraid or ashamed to discuss it openly. What does bullying really look like? Physical bullying occurs when one teen uses physical actions to harm another teen, such as hitting, kicking, biting, fighting, etc. Verbal bullying happens when one teen seeks to diminish another through cruel words, name-calling, or mocking. Reactive bullying happens when a previously bullied teen takes on the behaviors of a bully, and begins mistreating others. Relational bullying takes place when one teen harms another emotionally by excluding them from peer groups or activities. Cyber bullying occurs when teens are regularly and purposely bullied through online interactions such as gaming, social media, and text messages. While conventional bullying has been present in teen’s lives for a very long time, cyber bullying is somewhat new. Due to the expansive power of the internet, cyber bullies can expound upon their damaging behavior by making it publicly visible online for many to see and share. How does bullying make teens feel? 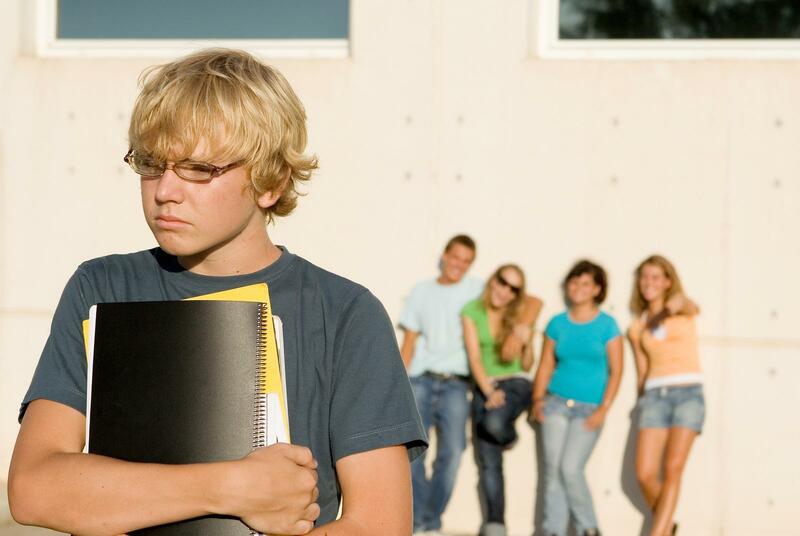 Bullied teens will quickly lose self-esteem and feel worthless and demoralized. Many teens are fearful about opening up to others in their life about being bullied, and will keep it to themselves rather than seek help. Sometimes a bullied teen will even reverse their own behavior and become a bully themselves to try and restore the power balance in their life. What can parents and other trusted adults do to help bullied teens? One of the most important things parents can do to help a bullied teen is to stay involved and in tune with their teen’s life, activities, and friends. If a parent notices any changes in interests, friend groups, or behavior, then they should begin an open, supportive dialogue with their teen to get to the root of the issue. What advice should parents give to their teenagers about bullying? How should a teen’s school react to bullying? School should be a safe environment for learning, fun, and friendships. For these reasons, many schools are creating strict anti-bullying rules and enforcing a safe, healthy learning environment by implementing enforceable codes of ethics all students must abide by if they want to remain in attendance at the school. As your teen develops socially, they’ll most likely find new things to interest them and form new friendships in the process. The duration of teen friendships can seem somewhat erratic, much like teenage emotions and behaviors themselves. Interaction among teens will almost always include some form of jesting, teasing, or playfulness, as teens form their personalities, humor, and themselves. While much of this behavior is all part of the normal growth path to maturity and adulthood, far too often teens are taking the teasing to the bullying level, which is focused on intentionally being unkind and hurtful to others. Teens won’t often confide in others if they’re feeling scared or threatened, so as a parent, it is important to know common signals that indicate bullying, so you can be aware and help your teen if he or she is the victim of bullying. According to Character.org, these are some of the most common signs that indicate your teen is being bullied at school. Every teen can have a bad day, a disagreement with a friend, or a poor attitude, so it is important to look for patterns of repeated bullying signs or behavior. If your teen is exhibiting any of these signs regularly, then it is important for you as a parent to recognize the signals, and try to help your teen deal with the bullying situation. Your teen may not come forward themselves to let you know what is going on, as bullied teens often feel too scared or ashamed to tell their parents or other trusted adults. Let your teen know that you are there for them, and don’t place any blame or judgement on them or their bully. Offer your support, and allow your teen the opportunity to speak freely and openly. If the bullying situation your teen is enduring continues to escalate despite using these various ideas and tactics, then it may be a good time for you to get involved as a parent. Before you step in however, be sure that you speak openly with your teen, letting them know you are there to support, help, and protect them. Be sure that they know and understand that they deserve to be safe and happy at school, and that you want to help them. Often times knowing someone more powerful than their bully is on their side will help them build confidence and gain peace. If you need support and help with a bullying situation as a parent, then it is always a good idea to contact a teen counselor or specialist to help you and your teen find your way safely out of a bullying situation at school.